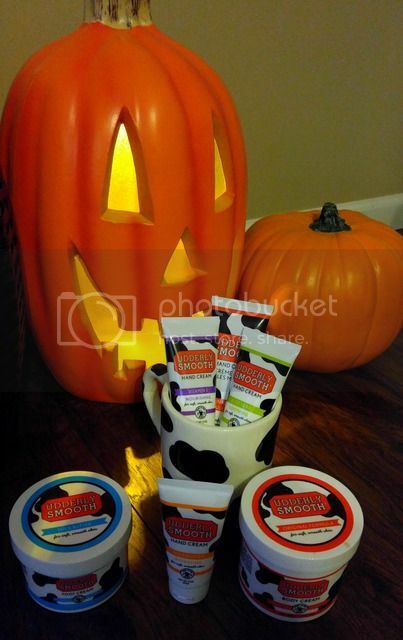 I was recently sent package of Udderly Smooth products to try out and to come up with unique was to use them! 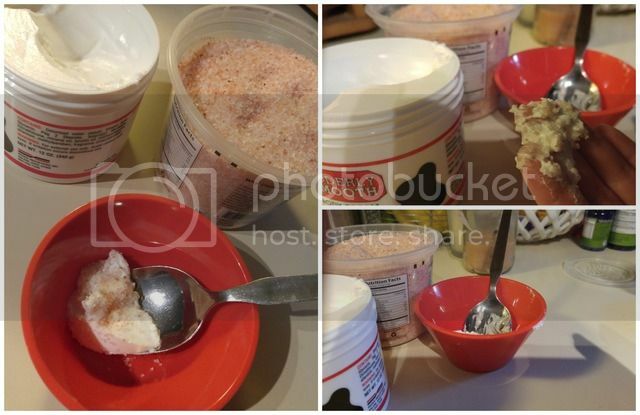 Turn your Udderly Smooth into a body scrub! Coarse salt. 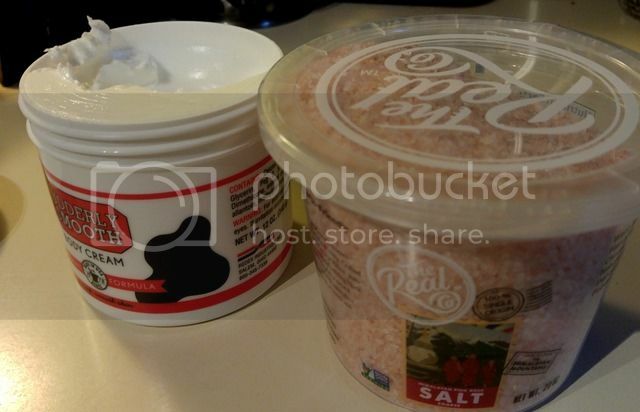 I used Himalayan Pink Salt and it was a great textured that helps to get rid of flaky skin. It can be drying, so don't use often! Coarse raw sugar. This is a popular ingredient that works on dry skin! The sugar polishes without dehydrating. Dogs pads are meant to be rough, but sometimes they lick their feet raw. We just got a puppy from the pound a month ago and she has some a tendency to lick her paws. I finally found something that helps her raw little paws stay moisturized. it is like the callused skin on the bottom of our feet. If our skin was so very soft it would hurt to walk. Udderly Smooth was originally formulated for use on cows so they don't feel irritated or chapped, so it is safe for other animals too. 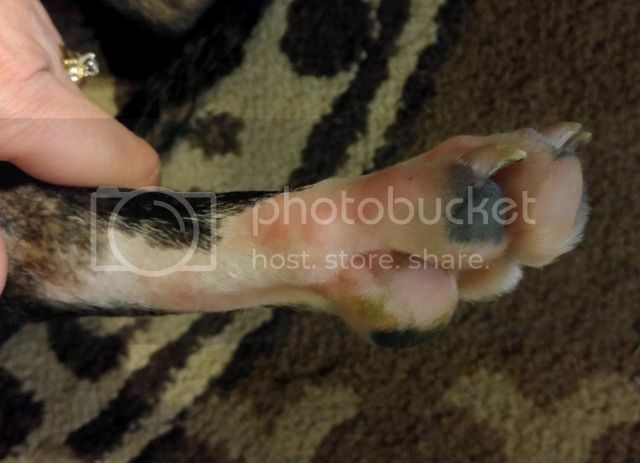 I have been applying it to my pup's paws and see the difference. It is safe if the dog licks it too! Most tattoo artists recommend non scented lotions like bag balm. Udderly Smooth is a creamed version of bag balm and safe to use on your tattoo. It will also make your skin soft! In the winter is when I work on the sewing machine. I can use Udderly Smooth while working with my fabric and not get a stain on the fabric. My skin stays soft and does not snag on the fabric. It is also great to use on the tread to help guide it in the needle hole! You can pick up the Udderly Smooth products in the first aid aisle at Walmart. I am totally in love with how soft my feet are from these creams. I am left with soft non-greasy skin!